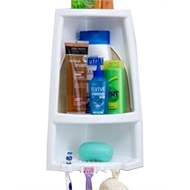 Plastic corner caddy provides lots of storage in the shower. 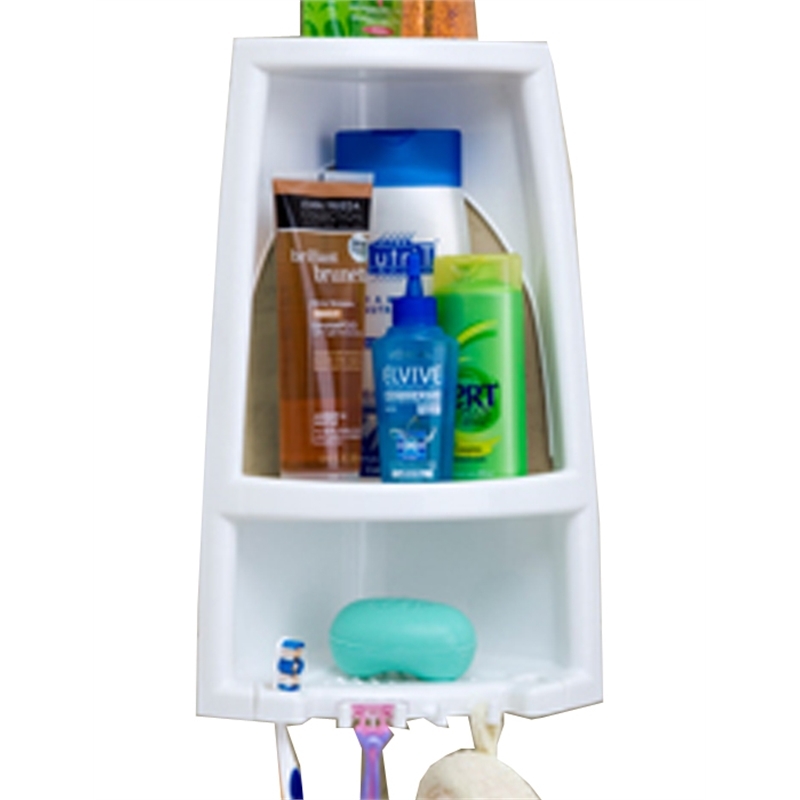 The unit includes hooks for hanging razors, toothbrushes etc and a shelf that has the space to hold tall bottles. Wall fixings are included with the unit.